Thousands of residents from Renfrewshire and beyond were getting into buildings at the weekend during the area’s annual Doors Open Days. Saturday and Sunday saw more than 60 venues across Renfrewshire throw open their doors to give people a look inside. Buildings old and new took part, from historic gems such as Paisley Abbey through to recent additions such as Johnstone Town Hall. This year, highlights included the first-anniversary party for the re-opening of the ornate 19th-century Grand Fountain in Paisley’s Fountain Gardens, which was restored to its former glory last year. Elsewhere, visitors could travel in style with a limousine tour of local landmarks led by Paisley firm JW Goudie. 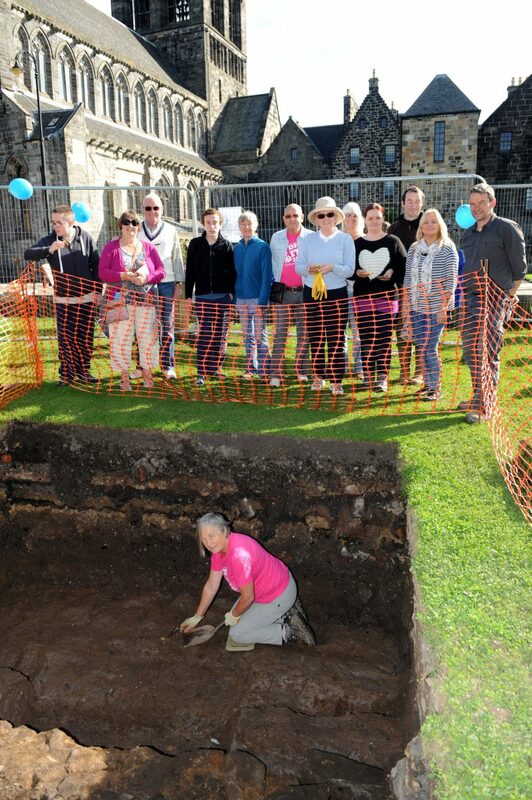 And there was also the chance to drop in on a live archaeological dig at the Great Drain outside Paisley Abbey, run by Renfrewshire Local History Forum. The Doors Open Day event was organised by Renfrewshire Council in partnership with the Scottish Civic Trust, which runs the national event. The council produced a special kids’ programme allowing youngsters to collect stamps at each venue visited, with prizes for those getting five or more. 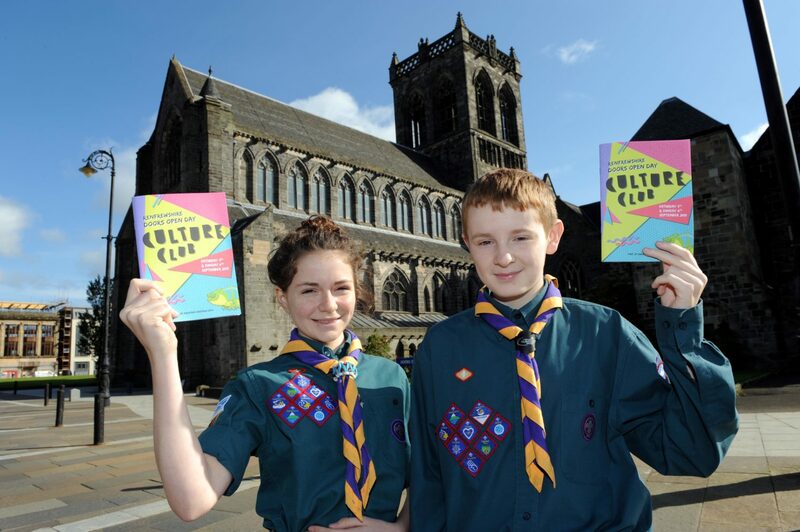 They also had the chance to meet event mascots – Culture Vultures Victor and Vera, named in honour of Paisley’s upcoming bid for UK City of Culture 2021. Renfrewshire’s Provost Anne Hall was out and about over the weekend and said: “Once again, Renfrewshire Doors Open Day was a well-attended event. “Sometimes it’s easy to walk past buildings without stopping to appreciate the quality of what we have here on our doorsteps. “But the great thing about Doors Open Day is that it encourages people to be tourists in their own towns and appreciate our outstanding built heritage.